Whether it is a fine and formal VIP banquet or your small and friendly family wedding, Lynne O'Hara has the professional and personal skills to deliver your event on the day just the way you want it to be. 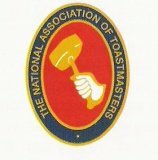 As a Lady Toastmaster and Master of Ceremonies she is proud to be a Fellow of the prestigious National Association of Toastmasters. She has been trained and examined to the highest levels of her profession and has conducted all types of events all over Kent, London the UK and abroad. These include Gala Dinners, VIP Banquets, Civic Receptions, Charity Balls, Fund Raising Events, Ladies Nights, Weddings of all denominations, Civil Partnerships and more! She is also known as one of the Tilamanstone Toastmasters ww.tilmanstonetoastmasters.co.uk. With Lynne as your Lady Toastmaster and Master of Ceremonies, your event will be managed professionally and skillfully but also with a friendly approach to ensure smooth running success for all. With Lynne at your event you will relax and enjoy an occasion that all your guests will be proud to attend!